Illustrated by the acclaimed James Gulliver Hancock, How Cites Work has been created in consultation with Jill Sterrett, lecturer with the Department of Urban Planning at the University of Washington. Lift the perforated flaps of this brilliant book to see inside buildings, and unfold the oversized gatefold pages to find out what's going on above your head and under your feet – plus other surprising spaces. 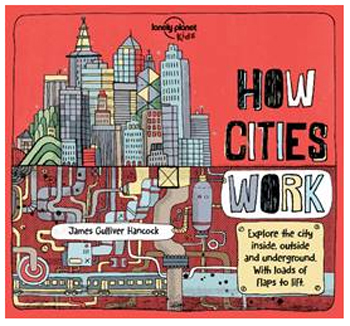 Lonely Planet Kids: How Cities Work reveals the city as you've never seen it before.